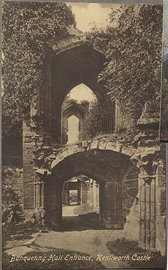 Banqueting Hall Entrance, Kenilworth Castle, postcard. 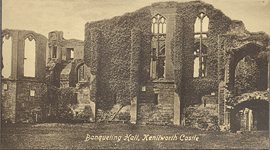 Banqueting Hall, Kenilworth Castle, postcard. 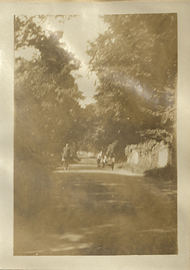 Basing Village near Basingstoke, postcard (back). 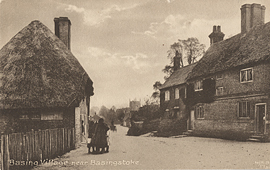 Basing Village near Basingstoke, postcard (front). 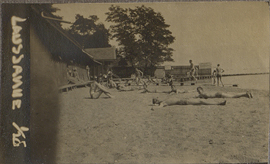 Beach in Lausanne, Switzerland, photograph. 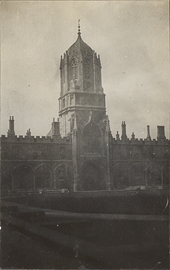 Bell tower at Christ Church College, photograph. 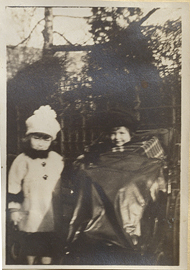 Betty Tomlin and Wilder Penfield Jr., photograph. 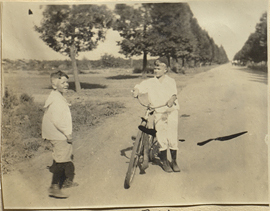 Billy Mac and Bobby on a dirt road, photograph. 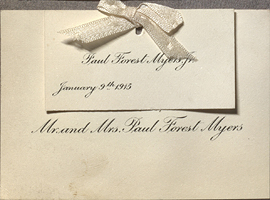 Birth announcement for Paul Forest Myers II, on January 9th 1915. 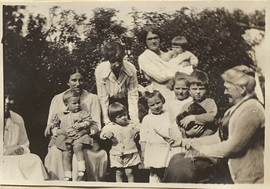 Birthplace of Shakespeare in Stratford, colour print. 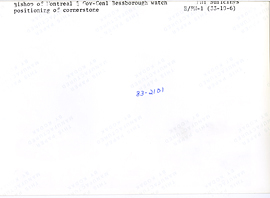 Bishop of Montreal & Governor General, photograph (back). 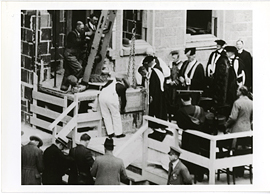 Bishop of Montreal & Governor General, photograph (front). 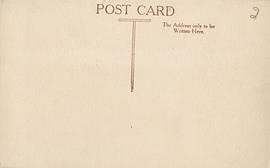 Black and white print of Titian's "Sacred and Profane Love," postcard.